Home Tags Articles tagged with "Weather"
This week will start out warm, with a high of 87 degrees F expected Monday, according to the National Weather Service. Things will really get cooking as 100 degrees is expected by the end of the week. There is no chance of precipitation in the forecast. Today will be sunny with a high near 87 and calm wind. Tonight will be mostly clear with a low around 57. Tuesday has increasing clouds in the forecast with a high near 89. Tuesday night will remain mostly cloudy, then gradually becoming mostly clear with a low around 59. Wednesday is expected to be sunny with a high near 94. Wednesday night will remain clear with a low around 63. Thursday also is likely to be sunny and warmer, with a high near 99. The night will be near perfect with clear skies and a low around 64. Friday looks to be a hot one with sunshine and a high of 100 expected. Friday night will remain clear with an expected low around 63. This weekend, expect more of the same with highs in the upped 90s and lows around 60. Don’t expect anything but sunshine and warm temperatures through the weekend. It will be nice but perhaps a little hot Friday as temps will near the 100-degree mark, according to the National Weather Service. Easter Sunday looks dry and nice with a high of 88 expected. Today will be sunny with a high near 91 and calm wind. Tonight will remain clear with a low around 57 and calm wind. Friday more of the same, sunny but hotter with a high near 99. Friday night will be mostly clear with a low around 63. Saturday also is forecast to be sunny with a high near 94 and winds 5-15 mph. Winds could gust as high as 20 mph. Saturday night will have clear skies with a low around 59 and continued breezes. Easter Sunday will be sunny and a bit cooler with a high near 88. Sunday night will remain mostly clear with a low around 56 and winds 5-10 mph. Early next week, yep, you guessed it, sunny with a high around 90. There is no precipitation expected in the next 7 days. It is going to get hot around here early in the week but the cool 70s are coming later in the week, according to the National Weather Service. Even showers might fall on Friday. There’s a 20-30 percent chance of showers. Tuesday will be downright hot at 98 degrees but windy with gusts up to 30 mph. Today will be sunny with a high near 96. Tonight, there will be increasing clouds with a low around 60. Tuesday is forecast to be mostly sunny with a high near 98 and winds 5-10 mph becoming 15-20 mph in the afternoon. Winds could gust as high as 30 mph. Tuesday night is expected to be mostly clear with a low around 57. Wednesday continues the sunny trend with a high near 79 and winds 15-25 mph gusting as high as 30 mph. Wednesday night will remain clear with a low around 48. Thursday there will be more sun with a high near 79. Thursday night will be mostly clear again with a low around 50. Friday will be a change with a 20 percent chance of showers after 11 a.m. The day will be mostly sunny, with a high near 76. Friday night chances for shower will increase with a 30 percent, mainly before 11 p.m. This weekend will likely have a continued chance of showers with highs in the mid-70s. Enjoy the next few days as it will be cooler in the Maricopa area through Saturday, according to the National Weather Service. Today will be mostly sunny with a high near 85 and winds 5-10 mph. Tonight, expect increasing clouds with a low around 50. Friday will be partly sunny and cooler with a high of just 78 and winds 5-10 mph. Friday night will be mostly cloudy with a low around 53. Saturday is forecast to be mostly sunny with a high near 80 and winds 5-10 mph. Saturday night should remain mostly clear with a low around 52. West wind 5 to 10 mph becoming south after midnight. Sunday will warm up and be sunny with a high near 88. South-southeast wind around 5 mph becoming north-northwest in the afternoon. Sunday night will remain mostly clear with a low around 56 and west-northwest wind around 5 mph becoming calm in the evening. Next week will start out warm with highs into the 90s on Monday and Tuesday. Tuesday expect a high of 96 in the Valley of the Sun. Highs will continue in the 80s through the weekend, according to the National Weather Service. There is no moisture in the forecast. Basically, it’s just going to continue to be a little warmer than normal, but it is Arizona. Today will be sunny with a high near 86 and winds 5 to 10 mph in the afternoon. Tonight will remain clear, with a low around 51. Friday is forecast to be sunny again with a high near 83 and winds 5 to 10 mph in the afternoon. Friday night will become mostly cloudy with a low around 50. Saturday will likely be partly sunny but warm, with a high near 84. Saturday night, skies will clear and the low will be around 51. Sunday is predicted to remain sunny with a high near 85. Sunday night will be mostly clear with a low around 53. Next week expect more of the same sunshine with highs in the upper 80s and nearing the 90 mark on Tuesday. Remember, Monday is April Fools’ Day, also called All Fools’ Day. It has been celebrated for several centuries by different cultures, but its exact origins remain a mystery. Enjoy the day but don’t get fooled – you’re better than that. Little will be changing in the weather this week. The sun will continue to shine most of the week and highs will hover in the mid-80s all week long, according to the National Weather Service. No precipitation is forecast for the entire week. Today will be sunny with a high near 85. Tonight, expect mostly clear skies with a low around 53. Tuesday, Maricopa will likely experience increasing clouds with a high near 89. Tuesday evening will be mostly cloudy with a low around 56 and calm winds. Wednesday is forecast to be mostly cloudy with a high near 88. Wednesday night will be partly cloudy with a low around 54. Thursday will be sunny with a high near 85 and light southwest wind of 5 to 10 mph in the afternoon. Thursday night expect mostly clear skies with a low around 52. Friday will again be sunny with a high near 83 and winds 5-10 mph. Friday night will remain mostly clear with a low around 50. This weekend expect more of the same – sunshine and more sunshine – with highs in the mid-80s all weekend and dry. Enjoy the week and remember next Monday is April Fools Day. Don’t be taken in by your friends’ sinister tricks. The weather this weekend in Maricopa will be perfect, according to the National Weather Service. Highs in the 70s, hitting 80 on Sunday, light winds and sunshine are in your future. Today will remain mostly sunny with a high near 71. Tonight will be mostly cloudy, then gradually becoming clear, with a low around 46. Friday is forecast to be sunny with a high near 73. The night is expected to have mostly clear skies with a low around 47. Saturday is likely to be, you guessed it, sunny with a high near 78 for Salsa Festival. Saturday night will be mostly clear, with a low around 49. Sunday, too, is looking sunny with a high near 80. Sunday night will again be mostly clear with a low around 49. Next week will remain mostly sunny with highs in the 80s and light winds. Highs are expected to inch close to 90 Tuesday. Thermometers will display into the 80s this week as the sun will shine most of the time, according to the National Weather Service. Light sprinkles and showers are possible Wednesday and Thursday. Today is sunny with a high near 82. Tonight will be clear, with a low around 53. Tuesday expect sunny skies with a high near 84. Tuesday night will become partly cloudy with a low around 55. Wednesday is expected to be mostly sunny with a high near 81 and breezes 5-15 mph. Winds could gust as high as 25 mph. Wednesday night will have a chance of sprinkles with a slight chance of showers before 11 p.m., then a slight chance of showers after 11 p.m. with a low around 50. Winds of 5-15 mph may gust as high as 20 mph. Chance of precipitation is 20 percent. Thursday a chance of sprinkles is expected between 11 a.m. and 2 p.m., then a slight chance of showers after 2 p.m. The day will be mostly sunny with a high near 71. Chance of precipitation is 10 percent. Thursday night will be partly cloudy with a low around 46. Friday sunny skies will return with a high near 73. Friday night will be mostly clear with a low around 48. The weekend will remain mostly sunny with a high near 76. This weekend will remain dry and high temperatures will top out in the 70s through Saturday with a high of 80 expected on Sunday, according to the National Weather Service. This afternoon will be sunny with a high near 63 and calm wind. Tonight, will remain clear with a low around 41. Friday will have increasing clouds with a high near 73 and winds gusting as high as 20 mph. Friday Night is expected to be mostly cloudy, then gradually becoming mostly clear, with a low around 48. Saturday is forecast to be sunny with a high near 77 and winds 10 to 15 mph, with gusts as high as 20 mph. Saturday night should be mostly clear, with a low around 50. Sunday likely will be sunny with a high near 80. Sunday night is expected to remain mostly clear with a low around 50. Next week will start out warmer and sunny with a high near 82. Without a doubt, it will rain this week. Starting late Monday afternoon, the chance of rain escalates from 30 to 100 percent chance after 4 p.m., according to the National Weather Service. Expect between a quarter and a half inch of rain. Showers are expected to continue through Tuesday. The rest of the week will remain mild with highs in the mid-60s and into the 70s late in the week. Today, there is a 30 percent chance of showers, mainly after 4 p.m., and increasing clouds, with a high near 72. Tonight, showers will continue with a low around 49. Chance of precipitation is 100 percent. New precipitation amounts between a quarter and half of an inch possible. Tuesday, expect showers before 11 a.m., then a slight chance of showers and thunderstorms between 11 a.m. and noon, and then showers and possibly a thunderstorm after noon with a high near 60. Chance of precipitation is 90 percent. New rainfall amounts between a quarter and half of an inch possible. Tuesday night expect a slight chance of showers before 11 p.m., then a chance of sprinkles after 11 p.m., with partly cloudy and a low around 47. Chance of precipitation is 20 percent. Wednesday is forecast to be sunny, with a high near 65 and winds 15 to 20 mph, with gusts as high as 25 mph. Wednesday night should be clear with a low around 39. Thursday, too, is expected to be sunny, with a high near 65. Thursday night is expected to be clear with a low around 41. Friday is likely to be mostly sunny, with a high near 72. Friday Night will be partly cloudy with a low around 47. Temperatures are expected to climb through the weekend. Don’t look for any moisture to fall this weekend. Temperatures will remain mild with highs in the 60s and 70s and lows into the 40s, according to the National Weather Service. Today is partly sunny, with a high near 78. Tonight will be mostly cloudy with a low around 52. Friday is expected to be mostly cloudy, then gradually become sunny, with a high near 67 and winds 15 to 20 mph gusting as high as 25 mph. Friday night should be clear with a low around 41. Saturday is likely to be sunny, with a high near 68. Saturday night is expected to be partly cloudy with a low around 43. Sunday is forecast to be sunny, with a high near 73 and winds 10 to 15 mph in the afternoon. Sunday night will be mostly cloudy with a low around 47. Next week comes with a high chance for showers. It will be quite a bit warmer this week, with highs expected to be into the 80s Tuesday and Wednesday. Temperatures will top out Wednesday with a forecast high of 87 expected. Moisture is forecast to return Friday and Friday night. Enjoy the 80s. Today is mostly sunny with a high near 75. Tonight will be partly cloudy with a low around 47. Tuesday is expected to be mostly sunny with a high near 81. Tuesday night is expected to be mostly cloudy with a low around 52. Wednesday the forecast calls for partly sunny skies with a high near 87 and winds of 5 to 15 mph becoming southwest in the afternoon. Winds could gust as high as 20 mph. Wednesday night will be mostly cloudy with a low around 56. Breezy with a southwest wind 5 to 15 mph with gusts as high as 20 mph. Thursday is likely to be mostly cloudy, with a high near 78 and winds 5 to 10 mph in the afternoon. Thursday night mostly cloudy skies with a low around 53. Friday, a 30 percent chance of showers is expected, mainly after 11 a.m. The forecast calls for mostly cloudy skies and a high near 69 and winds 10 to 15 mph gusting as high as 25 mph. Friday night there is a 40 percent chance of showers with a low around 42 and winds 5 to 15 mph gusting as high as 20 mph. The weekend is expected to be in the 60s with calmer winds. Weather patterns are starting to return to normal with highs in the 70s and lows around 50. It looks dry through Monday with only a 10 percent chance of showers Saturday. Today will be sunny with a high near 76. Tonight will be mostly clear with a low around 49. Friday is forecast to be mostly sunny with a high near 78. Friday night should be mostly cloudy with a low around 52. Saturday there is a 10 percent chance of showers after 11 a.m. The rest of the day is expected to be mostly sunny with a high near 78 and winds 5 to 10 mph becoming west in the afternoon. Saturday night is expected to be mostly clear with a low around 51. Sunday look for sunny skies with a high near 74 and wind 5 to 10 mph. Sunday night will be mostly clear with a low around 49. After all that cold and moisture last week, temperatures will rebound into the 70s this week. The showers and rain from last week also disappear from the forecast for a while. Today will be partly sunny with a high near 67. Tonight will be partly cloudy with a low around 39. Tuesday is expected to be mostly sunny with a high near 71 and calm wind. Tuesday night should be mostly cloudy with a low around 47 and calm wind. Wednesday should be partly sunny with a high near 75. Wednesday night expect mostly clear skies with a low around 47. Thursday is forecast to be sunny with a high near 76. Thursday night mostly clear skies are expected with a low around 47. Friday will continue to be mostly sunny with a high near 75. Friday night will be mostly cloudy with a low around 49. The weekend is expected to be sunny and even warmer. 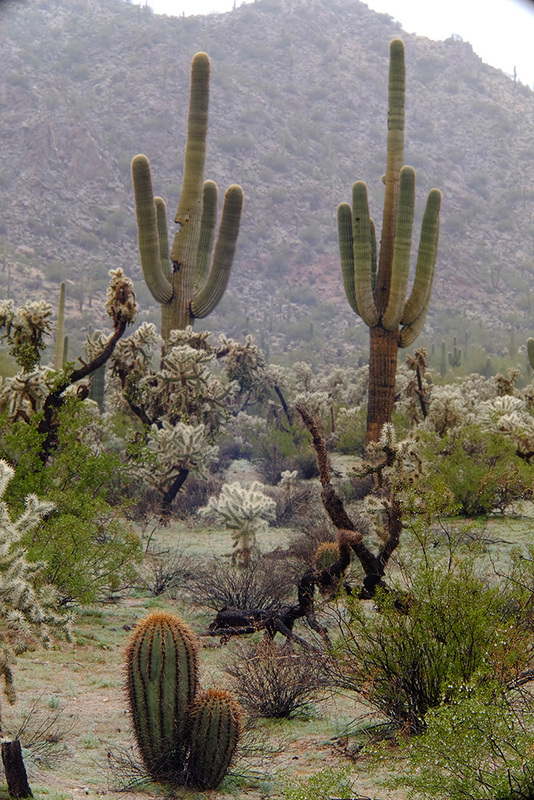 Moisture is expected to continue for the Maricopa area through Saturday morning. Rain will even be heavy at times tonight and Friday, according to the National Weather Service. Bundle up and stay dry. Today rain will continue with a high near 53. The day will be breezy with a west-southwest wind 10 to 15 mph, and gusts as high as 20 mph. Chance of precipitation is 100 percent. New precipitation amounts between a quarter and half of an inch are possible. Tonight, there will be rain before 3 a.m. turning to showers. The low is expected around 39 with south-southwest wind 5 to 10 mph. Chance of precipitation is 100 percent. Friday a 50 percent chance of showers is forecast. The day is forecast to be partly sunny with a high near 51 and breezy with a southwest wind 5 to 15 mph and gusts as high as 20 mph. New precipitation amounts of less than a tenth of an inch are possible. Friday night a 10 percent chance of showers is forecast before 11 p.m. The evening will be mostly clear with a low around 30. Saturday is likely to be sunny with a high near 54. Saturday night, expect mostly clear skies with a low around 31. Sunday will have mostly sunny skies and a high near 61. Sunday night will be mostly clear with a low around 36. Next week is expected to start out sunny with a high near 65. Moisture will continue through most of the week ahead with showers forecast to fall every day except Tuesday, according to the National Weather Service. It will also be cooler as high temperatures will reach only the mid-50s all week. Today, Washington’s Birthday, showers are likely mostly before 11 a.m. The day will be partly sunny with a high near 56 and winds 10 to 15 mph. Chance of precipitation is 70 percent. New precipitation amounts of less than a tenth of an inch are possible. Tonight, a 10 percent chance of showers continues before 11 p.m. The night will be partly cloudy with a low around 34. Tuesday is expected to be sunny with a high near 55 and winds 5 to 15 mph. Tuesday night will be clear with a low around 29. Wednesday is forecast to be sunny with a high near 55 and calm wind. Wednesday night a 10 percent chance of showers is expected after 11 p.m. The evening will be mostly cloudy with a low around 37. Thursday, showers are likely mainly after 11 a.m. while the day is mostly cloudy with a high near 55 and wind 10 to 15 mph, and gusts as high as 25 mph. The chance of precipitation is 70 percent. New precipitation amounts between a quarter and half of an inch possible. Thursday night is forecast to be filled with showers and a low around 40. Chance of precipitation is 80 percent. New precipitation amounts between a quarter and half of an inch possible. Friday a 50 percent chance of showers is expected while the day is mostly cloudy with a high near 53. New precipitation amounts between a tenth and quarter of an inch possible. Friday night a 30 percent chance of showers is predicted, mainly before 11 p.m. with a low around 33. Skies are expected to clear for the weekend. It looks like it will remain wet through the weekend with highs in the 60s, according to the National Weather Service. It will be a little cooler on Sunday as the high is expected to only reach 59. This afternoon rain, yes, rain will continue with a steady temperature around 61. of precipitation is 90 percent. New precipitation amounts between a tenth and quarter of an inch are possible. Tonight expect more rain before 11 p.m., then a chance of showers and a low around 50. Chance of precipitation is 100 percent. Friday there is a 10 percent chance of showers before 11 a.m. Then the day is expected to be mostly sunny, with a high near 68. Friday night will be partly cloudy with a low around 44. Saturday is forecast to be mostly sunny with a high near 62 and winds 10 to 15 mph. Saturday night will be partly cloudy with a low around 38. Sunday there is a 10 percent chance of showers after 11 a.m. The day is likely to be mostly sunny with a high near 59 and winds 10 to 15 mph gusting as high as 20 mph. Sunday night a 20 percent chance of showers is forecast under partly cloudy skies with a low around 37. Winds could gust as high as 20 mph. Monday, Washington’s Birthday comes with a 30 percent chance of showers, mainly after 11 a.m., and a high near 56. It is expected to remain nice and pleasant with highs in the 60s this week, according to the National Weather Service. Showers are expected to be moving into the area beginning midweek. The moisture is expected to stay with us into the weekend. Today is sunny with a high near 60 and northwest winds at 5 to 10 mph. Tonight will be mostly clear with a low around 32. Tuesday is expected to be mostly sunny with a high near 68. Tuesday night may be mostly cloudy with a low around 40. Wednesday is forecast to be mostly cloudy with a high near 69. The night has a 40 percent chance of showers and a low around 51. Thursday, plan for a 50 percent chance of showers during a mostly cloudy with a high near 69. New precipitation amounts between a tenth and quarter of an inch possible. Thursday night a 30 percent chance of showers continues, mainly before 11 p.m., with a low around 51. Friday has a 20 percent chance of showers. The forecast is for partly sunny with a high near 69. Friday Night a 10 percent chance of showers will be expected under mostly cloudy skies with a low around 48. Bundle up, folks, the mercury is going to fall below freezing Thursday night as temperatures will hit 30 degrees. It will be cold again Friday night as the low is expected to be 35. Today will be sunny with a high near 57. Tonight will be clear and freezing with a low around 30. Friday is forecast to be sunny with a high near 65. Nighttime will be mostly clear with a low around 35. Saturday, expect partly sunny, with a high near 65. Saturday night is expected to be partly cloudy with a low around 35. Sunday is likely to be mostly sunny, with a high near 67. Sunday night will be partly cloudy with a low around 38. Next week starts with mostly sunny skies, highs in the low 60s and chilly winds gusting up to 20 mph. It is going to remain damp early in the week then become quite a bit cooler in Maricopa, according to the National Weather Service. Freezing or near freezing temperatures are forecast Wednesday and Thursday nights. Today there is a 10-percent chance of showers before 11 a.m. Otherwise, mostly sunny with a high near 66 with wind 5 to 10 mph. Tonight expect a 10-percent chance of showers after 11 p.m. with partly cloudy skies and a low around 46. Tuesday there is a 30 percent chance of showers, mainly after 11 a.m. the day is likely to be partly sunny with a high near 65 and winds 10 to 15 mph gusting as high as 20 mph. Tuesday night a 30-percent chance of showers is forecast. Skies will be mostly cloudy with a low around 43. Winds continue around 15 mph, with gusts as high as 20 mph. Wednesday is forecast to be mostly sunny, with a high near 56. Wednesday night expect mostly clear skies with a low around 33 and winds 5 to 10 mph becoming light after midnight. Thursday sees sunny skies with a high near 57. Thursday night should be clear but cold with a low around 32. Friday expect sunny skies, with a high near 65. Friday night will likely be partly cloudy with a low around 36. At this point, the rest of the weekend looks to be mostly sunny with high temperatures in the 60s. It’s about to get a little wetter in Maricopa as showers are forecast the rest of this week, according to the National Weather Service. Up to a half-inch of rain may fall on Saturday. Today is mostly sunny with a high near 74. Tonight expect a slight chance of showers, then a stronger chance of showers and thunderstorms after 11 p.m. The night will be mostly cloudy with a low around 49. Chance of precipitation is 50 percent overnight. New rainfall amounts of less than a tenth of an inch, except higher amounts are possible if thunderstorms develop. Friday there is a 20 percent chance of showers before 11 a.m. then mostly sunny with a high near 71. Friday night should be mostly cloudy with a low around 49. Saturday, a 30 percent chance of showers exists mainly after 11 a.m. The forecast is for partly sunny with a high near 71 and south southeast winds 5 to 10 mph. On Saturday night showers are very likely with a prediction of mostly cloudy skies and a low around 50. Winds will be 10 to 15 mph. Chance of precipitation is 70 percent. New precipitation amounts between a quarter and half of an inch possible. Sunday, there is a 30 percent chance of showers before 11 a.m. The day will be mostly sunny with a high near 65. Sunday night should be mostly clear with a low around 44. Next week starts with a temperate, mostly sunny day with breezes up to 10 mph. Temperatures will remain mild this week but there is an elevated chance of showers Thursday. Monday afternoon will be sunny with a high near 73. Tonight will be mostly cloudy, with a low around 46. Tuesday is forecast to be mostly cloudy with a high near 71. Tuesday night will be mostly cloudy with a low around 44. Wednesday is set to be partly sunny with a high near 72. Wednesday night expect mostly cloudy skies with a low around 45. Thursday there is a 10-percent chance of showers after 11 a.m. with partly sunny skies and a high near 73. Thursday night will have a 30 percent chance of showers, mainly before 11 p.m. Mostly cloudy with a low around 47. Friday will likely be mostly sunny with a high near 71. Friday night will be mostly cloudy with a low around 48. Light and variable wind becoming southeast 5 to 10 mph after midnight. The weekend holds a 20-percent chance of rain and highs in the upper 60s. Not much will be changing in the weather arena this weekend as highs will remain near 70 and lows will continue to dip into the upper 30s, according to the National Weather Service. No expectations of frost are in the weekend forecast. Today is sunny with a high near 67. Tonight will be clear with a low around 37. Friday is expected to be sunny with a high near 69. Friday night expect clear skies with a low around 37. Saturday is also forecast to be sunny with a high near 70. Saturday night will be clear with a low around 38. Sunday is likely to be sunny with a high near 70. Sunday night will be partly cloudy with a low around 39. That pattern is expected to continue into next week. Just when it was starting to remain a little warmer overnight, lows this week will again fall dangerously near the freezing mark, according to the National Weather Service. On the upside, highs will remain nicely in the 60s all week. Today (Martin Luther King Jr. Day) is sunny with a high near 65. A south wind 5 to 10 mph will become west 15 to 20 mph in the morning. Winds could gust as high as 25 mph. Tonight will be clear with a low around 36. West wind 5 to 10 mph. Tuesday is forecast to be sunny with a high near 62. At night, expect clear skies with a low around 34. Wednesday is also expected to be sunny with a high near 63. Wednesday night will remain clear with a low around 34. Thursday is likely to be sunny, with a high near 68. Thursday night will be mostly clear, with a low around 36. Friday look for partly sunny skies, with a high near 69. Friday night will be partly cloudy with a low around 37. Some light to moderate shower activity is expected in the area in the week ahead, according to the National Weather Service. Showers are likely Monday evening through Tuesday night. Wednesday is expected to be dry but showers return on Thursday. Today is cloudy then gradually becoming mostly sunny with a high near 66 degrees F. Tonight expect a 30-percent chance of showers, mainly after midnight. The night will be mostly cloudy with a low around 46. Tuesday, showers are likely in the afternoon, and the day will be mostly cloudy with a high near 63. The chance of precipitation is 70 percent. New precipitation amounts between a tenth and quarter of an inch possible. Tuesday night there is a 40-percent chance of showers before midnight. Overnight forecast is for mostly cloudy with a low around 43. Wednesday is expected to be partly sunny with a high near 66. The night will be partly cloudy with a low around 42 and calm winds. Thursday is likely to be partly sunny with a high near 67. Overnight, a 20-percent chance of showers reappears under partly cloudy skies and a low around 44. Friday, there is a 10-percent chance of showers before noon. Otherwise, the day will be mostly sunny with a high near 65. Light and variable wind may become west northwest 5 to 10 mph in the morning. The night will be mostly clear with a low around 37. Northwest wind 5 to 10 mph is becoming east after midnight. The weekend will welcome back the sun, according to the long-term forecast. There is a 10 to 20 percent chance of showers this weekend in Maricopa, according to the National Weather System. Otherwise highs will be in the 60s and lows will fall into the 40s. Tonight is expected to be mostly clear with a low around 38 degrees F. West southwest wind around 5 mph will become south southeast after midnight. Friday is forecast to be sunny with a high near 65 and calm wind. Friday night will be partly cloudy with a low around 38. Saturday, there is a 10-percent chance of showers after 11 a.m. but mostly sunny with a high near 66. Saturday night expect a 20-percent chance of showers under partly cloudy skies and a low around 40. Sunday is likely to be mostly sunny with a high near 66. Sunday night will also be mostly cloudy with a low around 43. The weather in the Maricopa area will become more normal this week as temperatures stretch into the 60s and lows stay in the 40s, according to the National Weather Service. Today, look for areas of dense fog before 11 a.m. Otherwise, it will be sunny with a high near 62 degrees F. Tonight, expect mostly clear skies with a low around 37. Tuesday is forecast to be sunny with a high near 67. The night will be partly cloudy with a low around 44. Wednesday is expected to be partly sunny with a high near 67. Nighttime will be partly cloudy with a low around 45. Thursday also is likely to be partly sunny with a high near 67. At night expect partly cloudy skies with a low around 43. Friday has a forecast of sunny with a high near 66. Friday night should be partly cloudy with a low around 43 and calm winds. The weekend, at this point, has possible rain looming.